What are Wide Ranging Bars? Wide ranging, or long, bars occur when there is a bar that is at least 2-3 times longer than normal bars on the chart. Often are the result of a major news announcement although this is not always the case. Why are Wide Ranging Bars important? 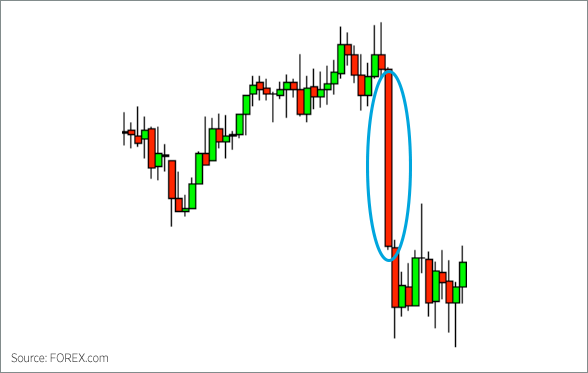 Wide ranging bars signal strong momentum in the direction of the bar. May signal that there is little buying interest in a bar down, and little selling interest in a bar up. 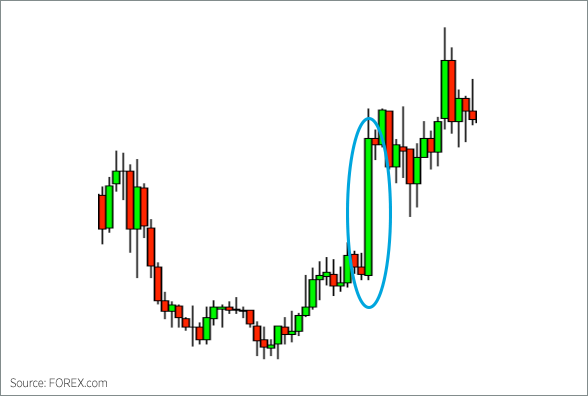 If there is a wide ranging bar, generally that is a signal to stay out of the market. Our technical reports generally look for short term reversal points. If there is a wide ranging bar going into our entry, it may be a signal that the pattern being traded will not hold. In this case, we may simply cancel the trade.